Question: What is a Torah Observant Christian? I think the easiest way to explain what a Torah observant Christian is to define each of the words in the name. Let’s start with the word Christian. A Christian is a follower/believer in Jesus Christ. The word Christian actually means little Christ, or like Christ. Christ means Messiah. Jesus, also known as Yeshua in Hebrew, was a man who lived, died, and rose from the dead over 2000 years ago. The story of his birth, life, death, and resurrection is told in the Bible. The first four books of the New Testament are called Matthew, Mark, Luke, and John and they are the story of Yeshua’s life told by four different men. Christians are people who believe that this man, Yeshua was the promised Messiah of the God of Israel, YHVH. A Christian is someone who accepts that Yeshua (Jesus) is the promised Messiah (Savior) and that He lived a sinless life and died and rose again to prove He conquered sin and death. Sin is anything we think, say, or do that breaks God’s law. Sin separates us from God. A Christian believes that through the sacrificial death of Yeshua our sins were paid for. A Christian believes that all people are sinners and can only be saved from the penalty of death, eternal separation from God, through the sacrificial blood of Yeshua. A Christian is someone whom once they admit they are a sinner, and accept the gift of God’s gracious forgiveness, then committees to live their life to glorify Yeshua. A true Christian turns from their life of sin to a life of obedience to YHVH. The Torah is the name of the first five books of the Bible, Genesis, Exodus, Leviticus, Numbers, and Deuteronomy. The word Torah means law, instruction, teaching, Word, writings, and/or commands. The first five books of the Bible are made up of all the instructions YHVH (God) gave to His people, the Israelites. These instructions were given to them to bless them, benefit them, and guide them in the Way of YHVH. The word observant can mean different things, but in this situation it is best defined as to see or recognize something as beneficial and blessed and set apart by YHVH, and therefore to keep that thing set apart in one’s life and home. A Torah Observant Christian therefore is a Christian, a believer and follower of Yeshua Messiah, that believes that the Torah, the first five books of the Bible, have blessed, beneficial, and sacred instructions for life and therefore apply those instructions to their own life and homes as best they can in this day and culture. There are only four really obvious differences between most evangelical Christian and most Torah Observant Christians. Most Torah observant Christians keep Saturday, the Sabbath day, set apart and often worship on this day instead of Sunday, and they try not to work or cause others to work on it. 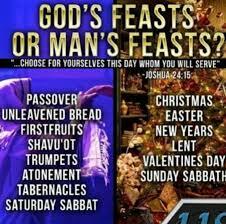 Most Torah Observant Christians celebrate the Biblical feasts for their holidays, as found in Leviticus 23. Most Torah observant Christians don’t eat pork or shellfish or any of the other unclean animals listed in Leviticus 11. Lastly, many Torah Observant Christians wear tzit tzit on their clothes as reminder to walk in the Ways of YHVH, as commanded in Numbers 15. A Torah observant Christian is a person who knows that they are a sinner saved by the gracious love of the Savior (Messiah) Yeshua, through His sacrificial death. They are a Christian who knows they do not deserve the forgiveness of a Savior. They love the Lord their God with all their heart, soul, mind, and strength, and choose to walk out their faith in fear and trembling every day, until their Lord and Savior returns. There are a LOT of instructions/laws in the Torah. How did you decide which to follow? How does following these add to your righteousness or Christian walk? Do you think other believers in Yeshua who are not Torah-observant are in sin? Thank you for your response. Lots of great questions. First let me start by saying that righteousness is found in the saving blood of Yeshua (Jesus) alone. So, anyone who believes in Him for salvation and repents from their sin is indeed saved from their sins. As for how to choose what laws to obey, I obey any and all that I can to the best of my ability. You see the law was given to God’s people for when they entered into the promised land. 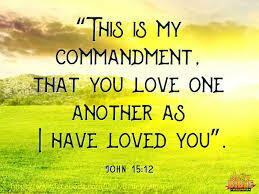 I don’t live in the promised land and the nation I do live in does not live under God’s law, so there are just certain laws that it is a no brainer, I can not do. But Ezekiel and Isaiah tell us that there will be a day in the future when Yeshua restores His law and all will follow it and live according to it. The law is a gift to us to help us know how to be in a loving and committed relationship with YHVH God and His people. So by doing the best i can to walk in it I love Him and others more. IN all honesty, at this point in my life, I am just trying to keep the ten commandments. I figure that is the best place to start. Loving God above all else is not an easy task, so I work on it daily. Thanks for your response, may YHVH God guide you and bring you peace. I absolutely love reading your posts! Spot on and agree with you 100%. I am also a Torah follower (new). Follow Zachary Bauer on YouTube if you don’t already. Keep up these posts :). We enjoy Zach Bauer and his insight as well. No, we do not celebrate Christmas. That means you do not leave your homes on the Sabbath as required by Exodus16? So, we have to first ask what is the point of this verse in context, then we have to compare it to all other commands for Sabbath. The point of the verse is about the people not going out of their house and gathering food. WORKING on the Sabbath. Everyday they were to go out of their house and gather the necessary amount of food for each family member to eat orthy would not have anything to eat that day. For six days of the week they were to gather, but on the seventh they were not to worry about getting up and leaving their house and gathering. They could sit and rest inside their home. Another way to translate the Hebrew for this verse might better read. “Look, God gave you the seventh day off, on the sixth day He gives you twice the food, so that, you all can sit and relax and rest and not have to go out of your house.” It is important to realize this is not a commandment about staying home, but a command about preparing to rest. Let’s look at some other passages to verify if this is a correct understanding of this verse. The Lord said to Moses, 2“Speak to the Israelites and say to them: ‘These are my appointed festivals, the appointed festivals of the Lord, which you are to proclaim as sacred assemblies.  Mark 1:21. What did Yeshua do on the Sabbath?  Mark 6:2. What did Yeshua do on the Sabbath?  Luke 4:16. What did Yeshua do on the Sabbath?  Luke 4:31. What did Yeshua do on the Sabbath?  Luke 13:10. What did Yeshua do on the Sabbath?  Acts 13:13-15. What did Paul and his companions do on the Sabbath?  Acts 15:21. When is Moses to be taught? Acts 16:31. What did Paul and his companions do on the Sabbath?  Acts 17:2. What did Paul and his companions do on the Sab-bath?  Acts 18:4. What did Paul and his companions do on the Sab-bath? As you can clearly see Yeshua, Paul, and the early church all went out of their homes on Sabbath. So clearly that is NOt the correct understanding of the verse in Exodus 16. Hope that is helpful. Hello, I have found your articles very informative and interesting. My hair dresser is a Torah Observer. Today, we began a discussion about Christmas. She explained how upset her mother was about her not celebrating Christmas. As we were talking, I explained that’s I am a member of the church of Christ. We follow the Bible exactly as it states. We do not add or take away from the word. We worship on Sundays and partake in Communion every Sunday. In the Bible, Christ broke bread with the 12 apostles and said, Do this in remembrance of me. We do this because we do not know what Sunday he rose and we do know it was not on “Easter Sunday”. So, with this said, if Christ died to establish the new church and it teaching, why do you observe the Sabbath and not the 1st day if the week? I very curious and interested in learning more. Yeshua told us to remember his death with the drink and bread. The day he did this with the disciples he spoke of Passover. IN our home, we take communion on PAssover yearly, and we also take it on other various days, usually Friday evening. We see no where in scripture where Yeshua or anyone else gives a command to take communion on a specific day.NOr do we see in scripture that YHVH did away with Sabbath and replaced it with Sunday worship. I hope that helps. Spot on! Im so happy to have found another Torah follower. I found Torah by seeking truth. The Sabbath was changed my Roman Emporer Constantine, who hated the Hebrews, but meticulously embraced their faith to get people to follow and embrace him more…especially as he conquered. He changed it to Sunday. I highly suggest all Torah followers or anyone curious of the truth, to read God’s Day Timer, by Mark Biltz. We also do not believe December 25th was the day if his birth. He came to earth born in the normal way, but his death is what saved us as long as we become a member of Christ body and a child of God through baptism and following God’s word. What about rules like those governing shatnez, found in Leviticus 19:19 and Deuteronomy 22:9–11? Do you follow these kinds of laws? Yes, to the best of our ability we do. What about references Paul makes in Col. 2:16 and Rom. 14:5-6, regarding the new Christian church and the Jews. 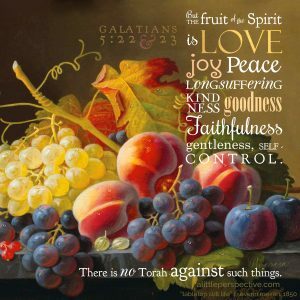 When the Jews were offended that new Christians were not observing the Jewish customs and the Law, Paul said to not to condemn anyone over matters of food or drink, festivals or the Sabbath. He also says in Romans 14 (above) that some claim one day is better than another day, others say all days are equal, but the real issue is where your heart lies, not in the observance of certain days over others. Paul also makes references to “the first day of the week” when it comes to meeting together to worship and take offerings. It demonstrates, to me, that with Christ’s death and resurrection there was a fundamental shift in our relationship with God. The ritualistic laws that were the stand-in for salvation (as we know it in the church age) were no longer needed because Christ finished the work of salvation. Paul actually rebukes Peter in Galations for hypocrisy because he withdrew from the Gentiles (unclean under the law, you couldn’t share meals with them) when Jews began to arrive in Antioch. Paul calls him a hypocrite because he believed in salvation through grace alone but was “not walking uprightly in the truth of the gospel” by giving higher credence to Jewish traditions and practices under the Law. Heather, Thank you for your response. I want to make one thing very, very clear. As I stated in the post above, salvation is found in faith in Yeshua our Messiah alone. Nothing, absolutely nothing we think, say, or do will change that. But faith is an action, if I believe something I show my belief in it by what I do. Romans 14, Colossians, and all of Paul’s letters to the early church were written to encourage and exhort them in walking in the Way that Yeshua taught Him and all of us to walk. Paul did indeed rebuke Peter for forgetting that all people are children of Yehovah and should be treated as equals. 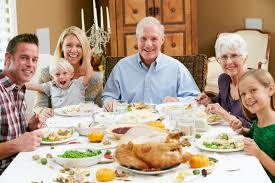 This was never a command of the old testament to not eat with gentiles, it was a tradition of the Jews. Paul never ever taught to do away with the obedience of Torah, Paul never ever said to stop keeping Sabbath on the seventh day, Paul also continued to keep the feasts and make sacrifices. 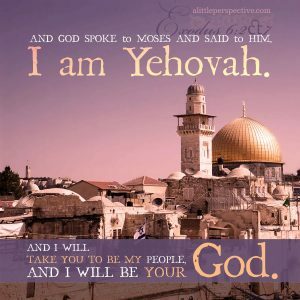 If there was a shift in the way Yehovah wanted us to obey and worship Him, do you not think He would have clearly stated this in His Word to us? AS for me and my house we will choice to trust that all scripture is to be upheld until He returns to tell us differently. We must each search our hearts and seek His Truth in His Word, and with fear and trembling work out our faith. Thank you ktmom12 for your words. My wife and I have recently started keeping Torah with today being our first day of keeping the Sabbath. I grew up catholic and I already know that its going to be a fight with my Parents regarding Christmas and Easter especially with our 9 year daughter. Fortunately my daughter understands that Mommy and Daddy want to do what is best for her and she is a child in Christ. Thank you for your comment. 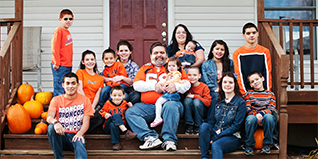 i will be praying that YHVH will lead and direct your family, and pour out His favor on you. I am a new Torah follower (Torah observant for 2 years), and am doing my best to convert my family over (my wife is Catholic, semi open to Torah. I wanted to throw a Torah curve ball at you, but wanted to hear your input, as i highly value what you’ve been saying in these blog posts. The problem i still have is, in my society, i cannot follow a changing Sabbath, as i work Mon-Fri. I do my best to follow as best i can, and recognize/repeant when i fall short. I do not want to disagree and have a debate here, but I will answer your questions. First, we do not agree with the view of calculating time as Mark Biltz outlines in his book. We believe that days are counted by the going down of the sun each evening. Months are counted by the cycle of the moon. The pagan calendar that is used today is incorrect, but the one thing that our Abba has preserved throughout all time is His weekly Sabbath. We can go back through all history and see that the counting of the week by sevens has always existed and survived even when Empires and people have tried to create calendars based on ten days, six, and eight. That being said, it is very hard in the diaspora to keep the Sabbath and feasts as Yehovah our God has commanded. So in all things, we do our very best. We continue to study the scriptures and seek the truth. We work out our salvation with fear and trembling, knowing fully that we will make mistakes. We are ever so grateful for the cleansing blood that Yeshua shed for us.